We pack our wines in specially designed double-ply corrugated cartons approved by UPS. Delivery is by UPS Ground service from our winery. Transit time for the 4000-mile journey is about 1 week, assuming no seriously inclement weather. Extreme swings in temperature during shipment can make certain wines unhappy. 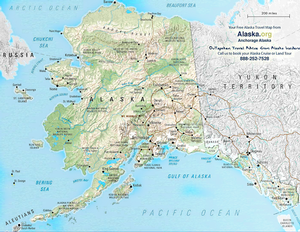 Before shipping Alaskan orders, we will check forecasted temperatures en route and contact the customer to discuss and obtain approval. Shipping rates for orders to Anchorage, Fairbanks and Juneau are shown below.